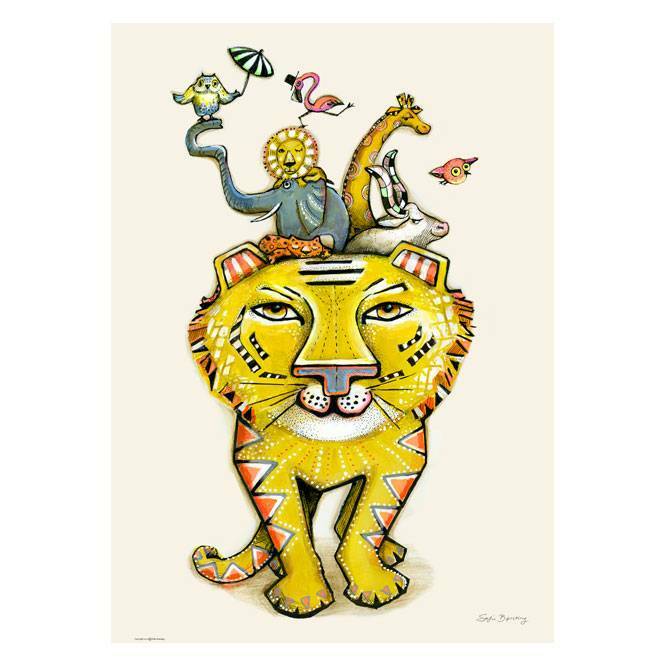 Cheerful and colorful poster with tiger by the Danish Sofie Børsting. Cheerful poster by the talented young Danish illustrator Sofie Børsting. 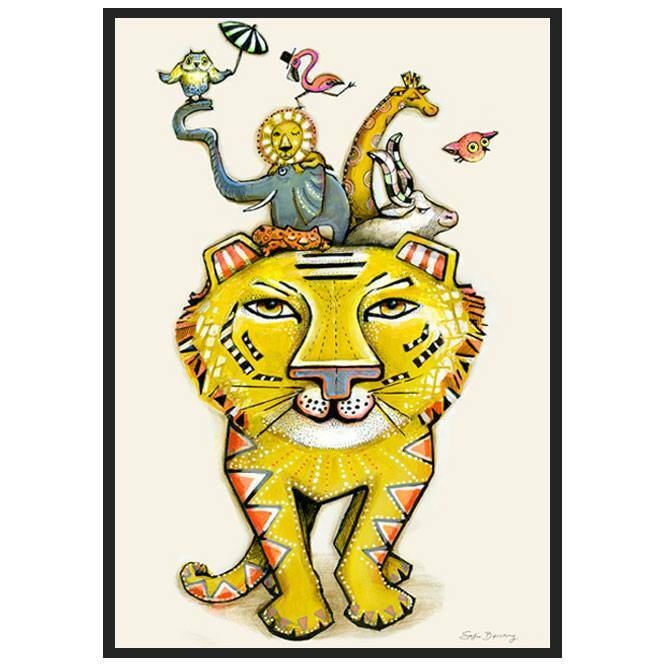 On the Tiger poster you see a colorful tiger carrying all kinds of other animals. A special illustration for, for example, the nursery or in a day nursery. This poster is packed on cardboard and in foil.